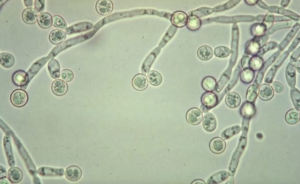 While this fungi-caused condition may look terribly debilitating and even downright horrid, it’s actually caused by one of the most common organisms in the human body – candida– and the cure is not at all complicated. In short, it’s nasty looking, but not excessively dangerous – and it’s also not contagious. Before talking about the disease, let’s take a look at the main cause – a fungus called Candida Albicans. 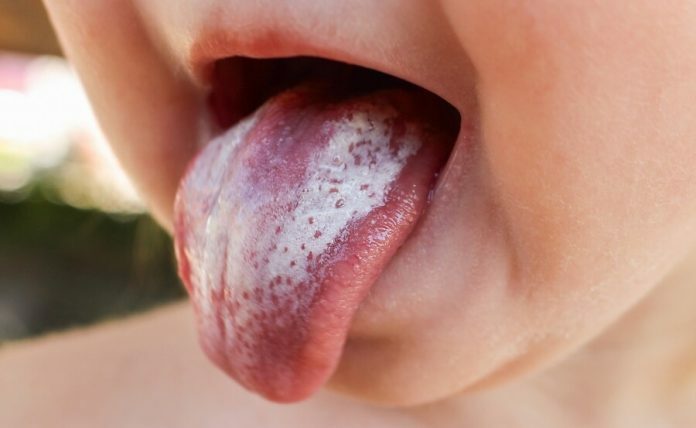 Oral thrush, also known as pseudomembranous candidiasis, is the most common form of oral candidiasis, accounting for 35% of all cases. This condition generally affects babies and the elderly, as well as people whose immune systems have gone through considerable stress – either as a result of poor diet or as a consequence of a disease. In healthy organisms, oral thrush can be easily treated with antifungal medicines. Some of them can be applied directly on the infected region, but there are some pills that are administered orally. Oral hygiene is the best prevention against thrush. Brushing daily, flossing, and taking good care of your dentures will significantly lower the risk of getting thrush. Oral thrush is a relatively common oral mycosis, and it’s generally easily preventable and treatable. Since it’s not contagious, it shouldn’t discourage social contact, despite its uninviting appearance. Though complications are not very common, it’s best to go to the doctor as soon as you notice the first symptoms; this way you make sure that you prevent further infections, as well as unpleasant common symptoms such as hard swallowing or bleeding of the mouth.